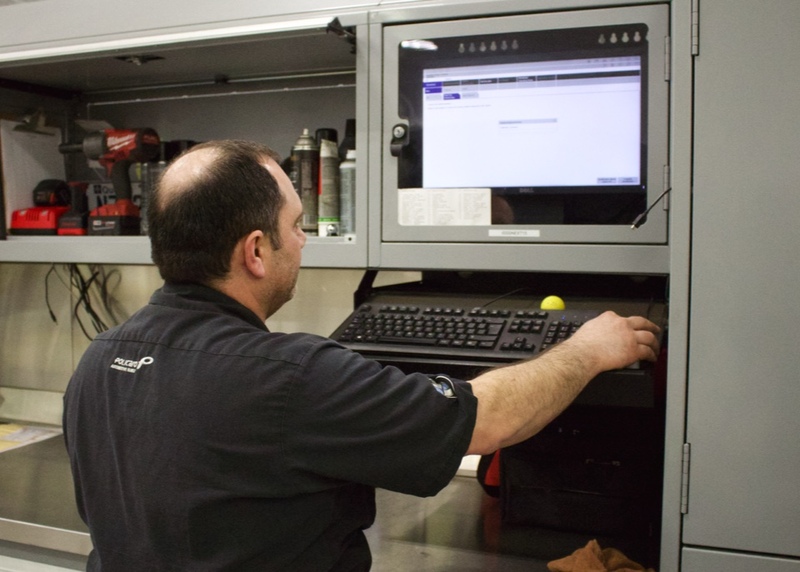 What does it take to become a BMW Certified Technician? 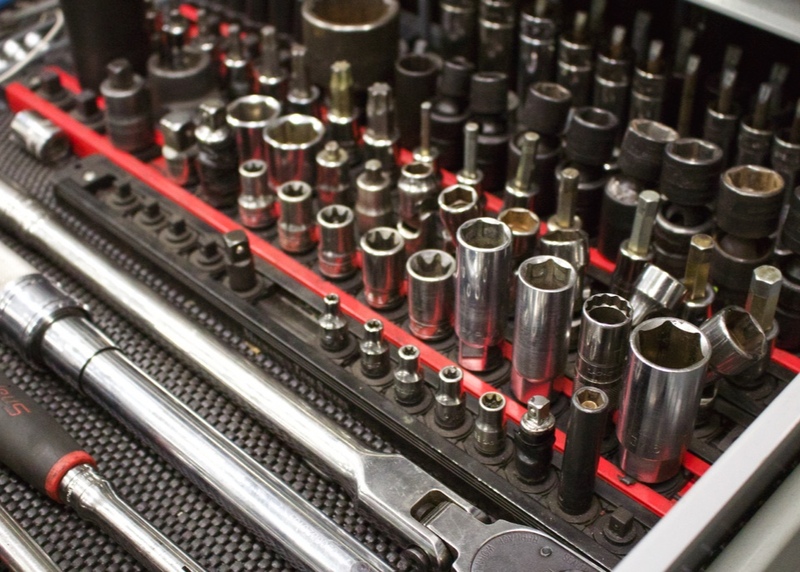 A Q&A with our two most experienced BMW Certified Technicians. What does it take to become a BMW Certified Technician? 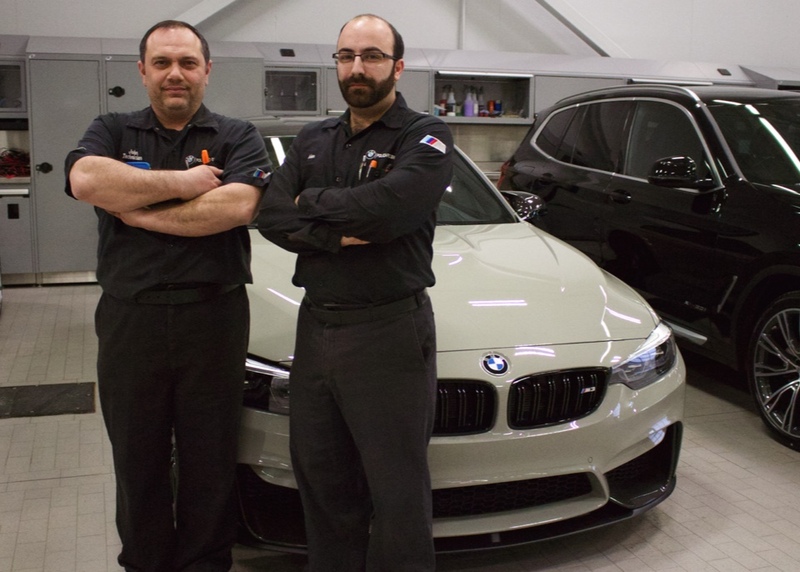 We sat down with two of Policaro BMW’s Certified Technicians who have a total of over 33 year of BMW experience to find out what it took them to get to where they are today. John – My name is John Lorfida and I’m a Certified Technician. I’ve been with BMW for over 22 years. Adam – My name is Adam Daniele, Certified Technician. I’ve been with BMW for just over 11 years now. How do you become a BMW Certified Technician? Adam – Once you finish your apprenticeship and get your license, the dealership will send you to BMW training. Usually you go through four to six courses a year which brings you through the first two levels, from Associate Technician to Member Technician, and will take you two to three years to complete. There are also online tests for these courses that you have to pass where you answer up to 140 questions. Once that’s completed they have you go to the BMW head offices in Richmond Hill for a half-day assessment where they’ve “bugged” three vehicles and you have an hour per vehicle to figure out what the problem is. If you pass that (over 80 per cent), then you’ve got to your Certified Technician status. You would do the same process for the Master Tech status -some more training, courses, online tests and another in-person assessment. How about the electric vehicles? Do you need special training to work on those? John – Yes. The i-cars are different, you have to get high-voltage certification and i-car training once you’re done the Certified Level. There is a test involved, but these are day courses. It’s great to have, but it’s not a status, so to speak, like the Certified Level. What’s your favourite car to work on? John – I like the M4. Basically any M vehicle. I love their stability, the way they sound, the way they drive and handle. They’re very well made vehicles. Adam – One of the coolest cars I’ve worked on was an M2 race car that was all done out. It was a track car, so that was pretty exciting to get to work on that vehicle. In the time you’ve been in the business, how have things changed? John – So much change! Technology, wiring, marketing, everything. And have the tools changed at all? John – They’re pretty much standard, but every time a new vehicle comes out, they have to make tools to work those vehicles. Stuff like head light adjusters, cluster adjusters, i-drive adjusters—there are all sorts of special tools for everything in the car. Every part in the vehicle has a tool to it. From taking door panels apart, mirrors, dashes, sunroofs, everything. 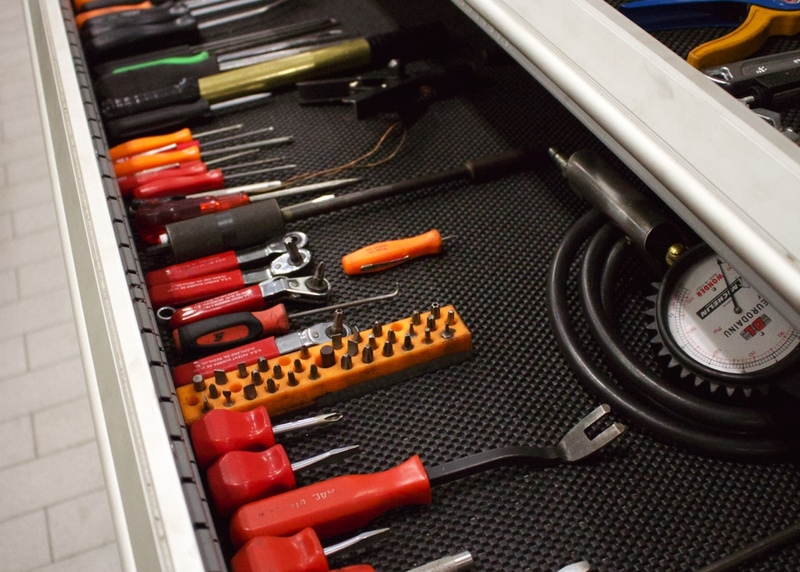 What about for the at-home mechanic who wants to do as much as they can themselves? Any tips for them? Adam – I don’t think anybody should begin working on any of these vehicles without having a good knowledge of how to use their Multimeter. That’s just the way things are going. We’re getting less and less from the mechanical side and we’re going more to the electrical and technology side. And that’s hard. You can’t physically see it, right? It throws a lot of mechanics for a loop initially—it doesn’t really make sense right away. As you progress in the trade and your skill level and experience grow, you realize it’s not that hard, you just have to understand what the tool is telling you. But don’t fear it, just understand it. John – Also, have an open mind when it comes to learning the new stuff. Don’t convince yourself you can’t do it before you even start. It’s going to get harder. The technology in these cars, it’s not stopping. And any tips for drivers in terms of keeping their BMW running well? John – As long as they keep up their maintenance schedule—oil changes, filters, etc.—the car runs the way it’s supposed to. Adam – For a lot of the technical stuff—like any phone connectivity issue—there’s a lot of information that BMW has released online, and there’s a lot of software fixes customers can do on their own. Nowadays, customers really can customize a lot through their phone, through the apps; it’s really cool. Lastly, why BMW? You could be working anywhere, why choose BMW? John – I started at the bottom. I started as a car detailer and shuttle bus driver. Then I was asked to start my apprenticeship and it just grew on me. I like the product! Adam – I started my apprenticeship at an independent shop and I was working on all kinds of cars. And then a few of the higher end vehicles came in and I just saw how their quality was better, how the technology was superior. It made me want to be there, working at that level, on those types of cars. BMW just kind of drew me in. When you work on it you feel like you’re working on the best. There’s a lot of pride in the work that we do. It makes you feel good to know that there’s not a lot of people out there who can fix these cars.